If you haven’t done so already, please visit the main Courses page here for an overview of all courses and our recommendations for the order of progression through our program. Technical skills learned in Jewelry I are further developed while focusing more on individual approaches in content. Assignments are more challenging, and more emphasis is placed on individual expression and solutions of problems. The history of contemporary jewelry design is explored. Course Description: This course is designed to expand upon students’ knowledge of jewelry design as an art form. In addition to the basic techniques necessary for the design and fabrication of jewelry and small three-dimensional forms learned in Jewelry I, this class teaches more advanced techniques and skills, and places more emphasis on successful design solutions. Various materials and techniques are explored while going beyond the fundamentals of contemporary jewelry design. The history of jewelry design is further explored. Students are taught through demonstrations, critiques, lecture, presentations, and guided work time. This course is designed to be preparation for further exploration into jewelry design and metalsmithing provided in Advanced Jewelry. Jewelry II is a one-semester class. It cannot be repeated. Prerequisites include: Jewelry I, Studio I, Studio II or teacher approval. How to use power/hand tool, torches, and other equipment properly and safely. Advanced techniques of jewelry fabrication. The value of the historical/cultural background of jewelry design. Contemporary issues and concepts of contemporary jewelry design. Advanced terminology, processes, and techniques related to metal design. Work with a variety of tools and metals. Develop works of personal expression to communicate ideas, emotion and information. 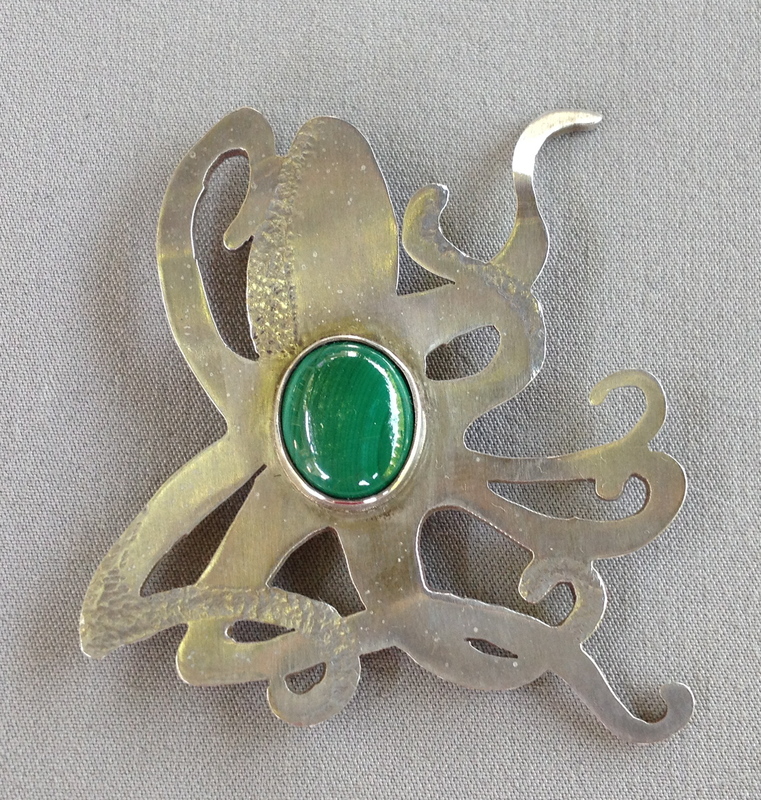 Develop design skills for jewelry fabrication. Participate in constructive class critiques. Know and follow studio safety and clean-up procedures. Recognize and value technical precision. Select work(s) for art show exhibit. The course objectives fulfill the Essential Academic Learning Requirements for the arts for students to: Understand and apply art knowledge and skills; demonstrate thinking skills using artistic processes; communicate through the arts; and to make connections within and across the arts to other disciplines, life, cultures, and work. The objectives of this course also fulfill the six content standards in the National Standards for Arts Education. COURSE OUTLINE: Throughout this course you will produce a large quantity of sketches, notes, and other written or visual information to help you gain ideas. You will learn advanced techniques necessary for the design and fabrication of jewelry and small 3-D metal forms. You will utilize advanced metal construction processes—sawing, filing, soldering, finishing, and casting, as well as, piercing, fusing , surface texturing, polishing and forming to complete a minimum of five pieces of jewelry. Projects will be assigned for each unit of study during the semester. A complete explanation and rubric with due dates will be given at the time the assignment is given. Each project requires a student written self-evaluation when work is turned in. With each new project you will acquire new skills. All projects will require some preliminary work or “thumbnail” sketches to better help you develop your original and imaginative thoughts. You will have the opportunity to discuss your ideas with your fellow students and to discuss works after they have been completed. Art cannot be created in a vacuum—our class is one of our greatest resources. In all your work you will strive to accomplish three critical components through research, development, realization and analysis. CONTENT – Content is the creative component of your work. It is the BIG IDEA, the thought and message of your work. Without it there is no art, only a demonstration of technical skill at best. COMPOSITION – this is simply orderly design. Composition utilizes the art elements and principles. The rules of composition can also be used to enhance the content aspect of your work. TECHNICAL PROFICIENCY – This is the mechanical component of your work. How well you utilize your skills to convey your idea within the realm of metalwork—supreme craftsmanship is our ultimate goal. COURSE MATERIALS: Classroom materials aside from items used for projects include educational videos that pertain to the life and works of major artists or on technique methods. They are from the RSD approved curriculum, and MPAA rating is not applicable for any of them. Other course materials include teacher demonstrations and slide lecture/discussions. Slides are from major art history text sources, from current professional art publications, or of actual student work samples. Prints of major artists and samples of outstanding student work will be displayed regularly. Students will be expected to use resources from HHS or the Richland Public Library, or from the Internet, etc. Points will be deducted for tardiness, absenteeism, off-task behavior/insubordination, and lack of participation in clean-up responsibilities. Content—what is the idea? Is it original? Creative? Expressive? Technical skill and use of medium—can you effectively manipulate the materials? Fulfilling the criteria—did you follow directions to meet expectations? Good craftsmanship? Clean and neat presentation? Demonstration of personal growth—are you taking risks? Pushing yourself? You can see the importance of the participation, behavior and productivity points to your overall grade-230 per quarter. You may be asking yourself why this is such a big part of your grade? Well, if you think about it, this class is very similar to a lab class. Technically you don’t have a text book and the instruction happens in the classroom. If you are not here, you are not listening and doing, and if you are not doing and listening, you are not learning. You are in class to learn. If you are not in class, then you are not learning. No learning=no points. Absences result in total loss of daily points whether they are excused or not-not here, not learning-not learning, no points. Repeated absences will severely hurt your grade. If you miss more than 12 classes it may result in failure of the course. Opportunities for making up class points are available on extended day Thursdays with teacher approval. Applicable courses: Jewelry/Metals II, Ceramics II, Photography II, Advanced Jewelry/Metals, Advanced Art, Independent Study Ceramics, AP Studio Art. Selects, uses, and produces a variety of types and qualities of line for artistic purposes in two- and three-dimensional artworks in a variety of media to demonstrate and portray the features and functions of line, and uses qualities of line in combination with other elements to create a series of artworks around a specific theme. Selects and produces shapes and forms in a variety of styles, and media in a variety of two- and three-dimensional artworks for a specific purpose. Examines, selects, and produces an extensive range of values in various environments and works of art in a variety of media, in two and three-dimensional artworks in a variety of styles, art forms, media, and subject matter and themes. Differentiates between, selects, and produces a variety of textures in various environments, in works of two- and three dimensional art in a variety of media, styles and subject matter to demonstrate and develop textures realistically, imaginatively, expressively, and abstractly. Examines, selects, and uses the element of space and spatial devices in various environments, in the production of works of two- and three-dimensional art to demonstrate the illusion of depth by developing space realistically, expressively, abstractly, and subjectively in a variety of media around a theme. Uses the color wheel to examine relationships between color schemes, such as primary, secondary, tertiary/intermediate, and complementary color schemes. Intentionally uses color in a variety of artistic styles, art forms, genres, media, and subject matter realistically and expressively to produce works of art in a variety of two- and three dimensional media to achieve a specific purpose and address a theme that he/she selects and evaluates. Explores and creates patterns, movement, and rhythm by using the repetition of lines, shapes, and colors. Uses patterns to enhance the surfaces of shapes and forms in a variety of two- and three-dimensional works of art. Identifies, examines, classifies, and uses the patterns and types of balance found in nature, in man-made environments, and in works of art. Examines and discusses how artists use the principles of design to develop artistic compositions while using visual thinking strategies to discuss and interpret a variety of artworks. Critiques and justifies the use of art elements and principles, skills and techniques in a series of artworks in a variety of media, styles, and subject matter that were designed around a theme. Uses perceptual skills (to create imagery from observation), imagination, and forming skills to achieve specific purposes in drawing and painting. Analyzes and evaluates the role of the artist and the impact of visual arts on global economic, political, and environmental choices. Examines, selects, and uses specific attributes in artworks to reflect a specific culture, place, or time, and examines how specific artworks or designs have shaped culture or history over time and justifies his/her interpretation. Analyzes and evaluates how the knowledge, skills, and work habits of visual arts are vital and transferable to the world of work, including careers in visual arts. Analyzes, understands and applies the conventions and responsibilities of “audience” in visual art. Reflects upon and refines artworks for the purpose of self-evaluation and improvement. Develop a portfolio of original work using a wide variety of art mediums and techniques that demonstrate technical skill, originality, composition and expression. Select a work/works to include in their culminating project.